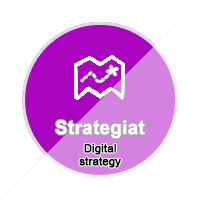 Is familiar with the main components of an organizational level Digital Strategy. Digital Strategy as a tool in developing teachers' competencies. Select two components of an existing Digital Strategy and explain how they are linked to your professional development plan. Share the explanation text linked or attached to badge application.